Trial Lawyers, Inc. reports present a snapshot of the lawsuit industry as it exists at various points in time. The picture is not pretty. Today, total tort costs exceed an estimated $200 billion annually – more than 2% of America’s gross domestic product. The litigation industry is nothing but Big Business. Given that 19% of all tort costs go to plaintiffs’ attorneys, we can imagine a corporation called Trial Lawyers, Inc. which rakes in almost $40 billion per year in revenues—50% more than Microsoft or Intel and twice those of Coca-Cola. The lawsuit industry’s lack of transparency prevents us from making an accurate profit estimate, but if its margins are as high as we suspect, Trial Lawyers, Inc. might well be the most profitable business in the world. And it is slowly creeping into almost every aspect of American life. The litigation industry's commitment to profits has fostered corruption, cronyism, and bad public policy – all of which negatively affect the American economy by diverting monies that could have been used to hire workers, conduct product research and development, and make charitable donations. 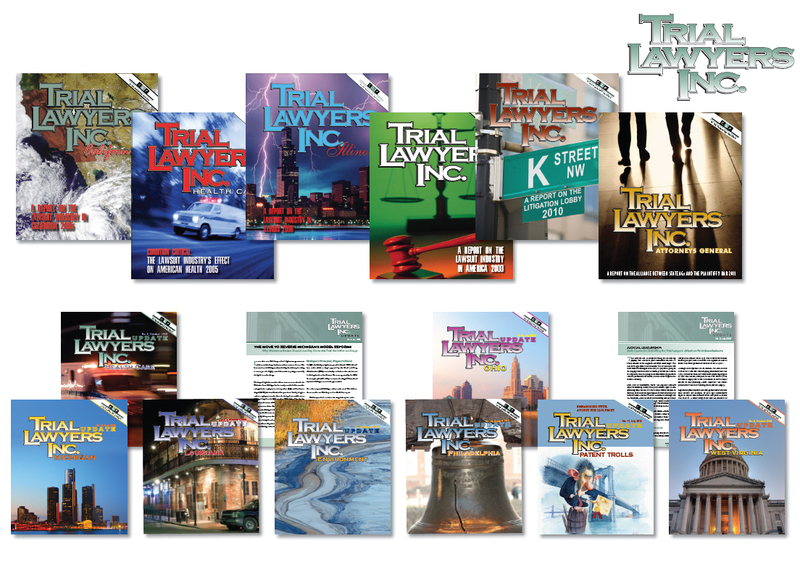 Trial Lawyers, Inc. does not claim to be comprehensive. As a brief survey of the “litigation groups” listed by the American Trial Lawyers Association made painfully obvious, the lawsuit industry is slowly creeping into almost every aspect of American life. We have only focused on the industry’s highlights—or lowlights.